Tangled and True: cafe style apron. Cafe Style Apron made by Yours Truly!! 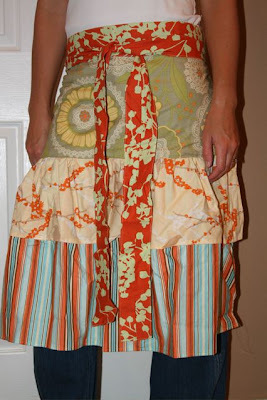 All designer fabrics (Amy Butler, Joel Dewberry) and wrap around waist. Top tier lined. Cooking will be fun again! Brittany I LOVE that, I am confused though I didn't think we bid on this I thought everything below this are up for auction??? Well $35 if we are bidding!